Ralf Gjoni, Chief Foreign Policy Adviser of the Albanian Parliament..
Greece and Italy play a catalytic role for the European perspective of the Albanian people, who are much more pro-European than in many EU member countries, says Ralf Gjoni. 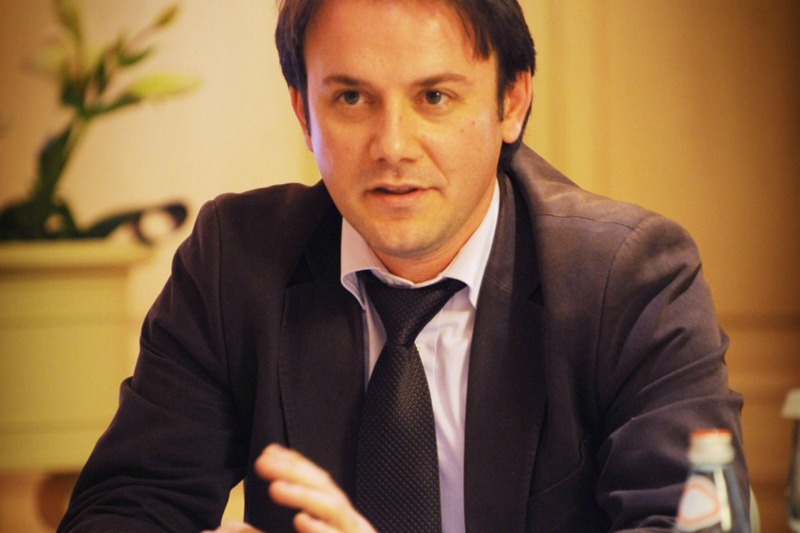 Ralf Gjoni is Chief Foreign Policy Adviser at the Albanian Parliament and International Secretary of the Socialist Movement for Integration of Albania (LSI). He spoke to EURACTIV Greece’s Sarantis Michalopoulos ahead of an EU summit on 26-27 June. According to reports in Prague, the Czech Republic is ready to block Albania’s EU perspective at the upcoming EU summit in June due to a dispute between ?EZ, the Czech state-controlled power utility, and the Albanian state. Have you been in contact with the Czech government? What are the latest developments? I believe that these are just rumours across some media outlets, as the information I have is that the Czech Republic has been and continues to be a firm supporter of Albania’s and the Region’s EU integration. Any commercial or legal issues that are inherited from the past can be dealt with through the right legal international institutions, and as far as I know, negotiations between both governments on the CEZ issue are ongoing. I am confident that during the Council meeting, the Czech Republic, alongside other EU members will take into consideration the EU Commission latest report which reconfirms the recommendation for granting EU Candidate Status for Albania. Are you satisfied with the Greek government’s assistance on Tirana’s EU push after the Dutch veto? Albania and our region are lucky to have two very good neighbours sharing the EU Presidency, Greece and Italy. We are grateful for the continuous support Greece gives to Albania in its European path and I’m certain that this positive push will continue with the Italian Presidency also. Relations between Albania and Greece are excellent and this is reflected through the very frequent and high level of visits between our countries. Greek President Papoulias, Speaker of Parliament Meimarakis and Foreign Minister Venizelos have visited Tirana recently, while several Ministers of our Government have been received in Greece also. This shows the quality of a special relationship both countries enjoy. We count on Greece as a good neighbouring country to push for a positive decision during the next Council meeting this month. Are you aware of any objections against Albania’s EU candidacy by other EU member states? Predicting EU decisions, especially on enlargement issues, is quite a challenging task, but I believe that Albania has fulfilled all its obligations and the EU should now recognise that through a positive decision this month. If I may quote the Council’s conclusions last December, member states agreed that “In the light of this report, and on the understanding that Albania builds on the encouraging progress made so far, the Council looks forward to a decision regarding granting candidate status to Albania in June 2014…”. It is a well deserved decision and long overdue now, because it recognises the progress made within the country, and also Albania’s weight and positive role it plays in the region. In case Albania is not granted candidate at the June summit, what’s next? We are European and no one can change that. In fact, Albanians are much more pro European than several EU members at this time, if we take into account the rise of extreme movements across the continent during the last European elections. Albania and Albanians as a nation will continue to work hart to improve our living standards and we will continue to step up the pace of our already initiated reforms, with EU assistance of course. We will also continue to strengthen our positive regional weight. But I also believe that the EU has to take a closer look at the Balkans and recognize the progress made over the years, despite the numerous challenges and problems we face, which in some cases are shared by other EU members. Therefore I believe that if some member states lose their euro-enthusiasm, we have to unite efforts with those pro European countries to uphold the European values in which we so strongly continue to believe. Oh please! Lets not get carried away with ‘Pro European’ Albania. the only reason they are ‘Pro’ is because they see the gravy train flowing their way. If Albania were comming into the EU to ‘give’ then Ok but their not they want to enter the EU to take and improve their country. The truth is that Albania wants in to improve Albania, not to improve the EU! I don’t think a country of 2.9 Mln inhabitants can improve EU and either UK has, but if there is an interest of EU that Albania improves (especially economically) it means less immigrants for EU members and less drugs and more stability in the Balkans that could cost EU army what it cost for Kosovo. Improving your neighbour you’re automatically improving yourself even though in figures (what Farage says) you seem to loose. A tsunami accident in Pas-de-Calais atomic energy, for exemple, can make more damage to England than to Albania. It goes the same for immigration in EU… etc. Think twice, think global! cheers.